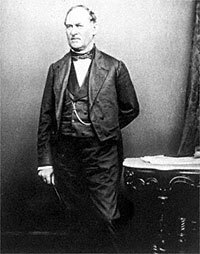 Senator from Illinois (Republican, 1861-62), Orville Hickman Browning was appointed by Governor Richard Yates to succeed Stephen Douglas on his death in June 1861, thus infuriating Illinois Democrats. A personal and political friend of President Lincoln, Browning was a frequent visitor to the White House, discussing political and military affairs as well as reading poetry. Browning and the President often went on rides together. Sometimes, he attended church with the Lincolns and returned with them to the White House for Sunday lunch. During his short term, he often seemed to serve as the President’s spokesman in the Senate. Although a trusted friend who presumed upon the friendship for favors and patronage, Browning doubted Lincoln’s leadership abilities as President and supported Edward Bates for the Republican nomination in 1860. (Lincoln himself voted against Browning for State’s Attorney in the first legislative session in which he served.) After he lost 1862 election, Browning opened a successful law firm. He also tried to be cotton broker and get trading permits for friends — which President Lincoln permitted but General Ulysses S. Grant and Secretary of War Edwin M. Stanton effectively blocked in late 1864 and early 1865. Browning used his friendship with the President to press his patronage and pardon requests. Among the beneficiaries of his pressure was the President’s own brother-in-law, Ninian Edwards, husband of Elizabeth Todd Edwards. 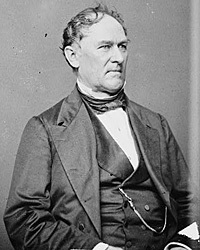 Browning first served with Lincoln in 1837 in the Illinois Legislature where he served for seven years; he was defeated by Stephen A. Douglas for Congress in 1852. 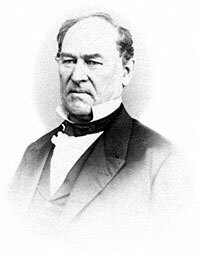 Later, he served as Interior Secretary (1866-69) under President Andrew Johnson, whom he supported during impeachment and served briefly as Attorney General. Browning’s wife, Eliza was one of Lincoln’s first upscale female friends. David Mearns, The Lincoln Papers, pp. 630-631. Maurice G. Baxter, Orville H. Browning: Lincoln’s Friend and Critic, p. 112. Willard L. King, Lincoln’s Manager: David Davis, p. 195. William H. Herndon and Jesse W. Weik, Life of Lincoln, p. 406. Herndon and Weik, Life of Lincoln, pp. 406-407. David Herbert Donald, “We Are Lincoln Men” Abraham Lincoln and His Friends, p. 114. David Donald, Lincoln, p. 402. Theodore Pease, editor, Diary of Orville Hickman Browning, Volume I, p. 596. Baxter, Orville H. Browning: Lincoln’s Friend and Critic, pp. 147-148. Theodore Pease, editor, Diary of Orville Hickman Browning, Volume I, p. CHECk. Baxter, Orville H. Browning: Lincoln’s Friend and Critic, p. 152. David H. Donald, Lincoln, p. 402. Baxter, Orville H. Browning: Lincoln’s Friend and Critic,p. 111. Matthew Pinsker, Lincoln’s Sanctuary: Abraham Lincoln and the Soldier’s Home, p. 106. Pease, Diary of Orville Hickman Browning,Volume I, p. 600. Pease, Diary of Orville Hickman Browning,Volume I, p. 476. Baxter,Orville H. Browning: Lincoln’s Friend and Critic, p. 158. Allen C. Guelzo, Abraham Lincoln: Redeemer President, p. 315.